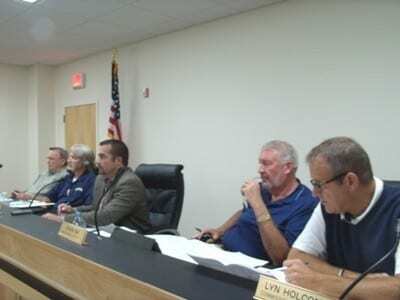 CLEVELAND, Ga. – The White County Board of Commissioners voted 3-2 during a called meeting Thursday to divide the revenue from a proposed 2020 special purpose local option sales tax (SPLOST) with the cities of Cleveland and Helen on a 60-20-20 basis. Before it can be collected, however, voters must approve an extension of the one-penny tax in a November referendum. In a recent work session, Helen Mayor Jeff Ash and Cleveland Mayor Shan Ash requested their cities receive 23 percent each. County officials, however, only seemed willing to part with 13 percent. Put to a vote Thursday, Commissioners Terry Goodger, Craig Bryant and Lyn Holcomb voted in favor of awarding the cities 20 percent each. Both mayors said projects they would like to undertake would cost about $5.5 million. Helen Mayor Ash said an expensive upgrade of its wastewater treatment facility would cost about half that. “We have 93 million gallons of sewage that has to be lifted and put in that pond (for treatment). We need a new lift station and those things aren’t cheap,” he said earlier this month. The city of Cleveland wants to use its share of the revenue for improvements to the city courthouse, infrastructure, public safety facilities and roads and bridges. 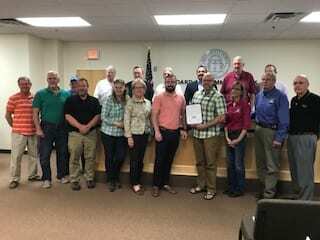 Commissioners also approved a joint resolution with Lumpkin County that calls for Ga. 400 to be extended 16.2 miles from its intersection with state Route 60 in Lumpkin County to the new Appalachian Parkway in White County. Ga. 400 has been an important catalyst for commercial, industrial and economic growth in the counties it runs through. Tourism is one of the top industries in White and Lumpkin counties, hosting about 1.2 million tourists each year. A major four-lane divided highway would make the counties more accessible to tourists. 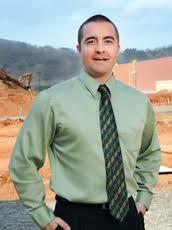 The counties will now present the resolution to state Senator Steve Gooch (R-Dahlonega). CLEVELAND, Ga. — The White County Board of Commissioners approved rehabilitation and improvement work on the Town Creek Road bridge and two bridges on New Bridge Road as part of the 2017 Local Maintenance Improvement Grant from the Georgia Department of Transportation during Thursday’s called meeting. The grant is for $382,326.74 with a match of $114,694 from the county. The board also approved a professional services agreement with Sastry Associates, Inc. for engineering work in conjunction with the LMIG project. Commissioners then held a discussion, but took no action on, a proposed amendment to the White County Land Use Regulations that would permit a full-time child care facility to be built within agricultural and residential single-family districts. The three commissioners who were present for the meeting (Chairman Travis Turner, Terry Goodger and Lyn Holcomb) indicated they could support what essentially would be a foster home with a limited number of children. However, they also said they want the request to go to the Planning Commission first and since that had not been done, they took no decision. CLEVELAND, Ga. — The White County Board of Commissioners unanimously rejected a rezoning request by Caleb Huiet and Josh Wofford that would have allowed a private outdoor shooting range to be built on Hwy. 75 Alternate during Monday’s regular meeting. 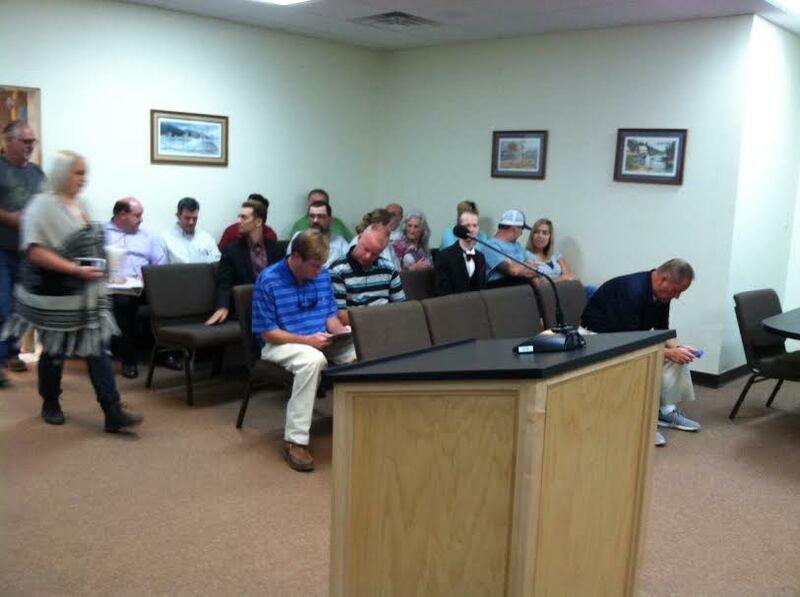 Once again, the meeting room was packed by those for and against the shooting range. Commission Chairman Travis Turner asked and received restraint from the audience when the decision was announced. At a recent public hearing on the issue, those supporting the request said they would like to have some place where they could teach gun safety to their children and grandchildren. Opponents said the range would disturb the tranquility of the area reduce property values. Tammy Dean, who said her family has lived near the proposed facility for several generations, made the most compelling argument on behalf of her special needs daughter during that public hearing. Dean said her daughter suffers from epilepsy and is prone to seizures that can be brought on by loud noises. In other decisions Monday, the Board tabled Shirley Van’s application for redistricting her property at 5642 Hwy. 115 West from single family residential to highway business district until several code violations have been rectified. Commissioners unanimously denied a request for a variance from land use requirements for residential lot sizes of less than one acre by Tanvor, LLC. In a 3-2 vote, with commissioners Terry Goodger, Edwin Nix and Lyn Holcomb in favor, the Board chose to go with a lease from Caterpillar for heavy equipment for the Road Department. CLEVELAND, Ga. — In a marathon two-and-a-half hour called meeting Monday, the White County Board of Commissioners grappled with the inevitable, a slight millage increase in the FY 2016-17 budget. Currently, it looks like the increase will be one-half mil which translates to about $20 annually on a $100,000 home when the proposed budget is adopted in July. Commissioners authorized County Clerk Shanda Murphy to advertise public hearings for 8 a.m. June 23 and 30. At the start of the meeting, the Board was battling a $800,000 differential between proposed revenue and expenditures in the proposed $13.4 million spending plan and they looked for cuts anywhere they could find them. The biggest cut came in funding for the YMCA. Commissioners voted 3-2 with Chairman Travis Turner and Commissioner Terry Goodger discontinue the agreement with the YMCA and bring those services in house. The proposed budget for the YMCA had been $575,000. Commissioners will give those responsibilities to Parks and Recreation and reduce the budget to $500,000, a savings of $75,000. The Board’s decision to end its agreement with the YMCA was not just about the money, however. Commissioner Lyn Holcomb cited a lack of communication and failure of the YMCA to develop a feeder system for the middle school and high school. Commissioner Edwin Nix said he had fielded numerous complaints from citizens about the YMCA, including failure to open concession stands during hot summer months so people could buy cold drinks. The Board also found an additional $61,000 in savings by reducing the amount of the hotel/motel tax it distributes to organizations like the Chamber of Commerce, Convention and Visitors Bureau, Sautee Nacoochee and the Historical Society and another and by reducing its payments to the Health Department by $25,000. But, in the end, it wasn’t enough. “I was hopeful we wouldn’t have to raise taxes,” Holcomb said. Turner said this is the first time since he’s been on the Board that taxes had to be raised. The Board also awarded bids to two contractors to do the preparation work associated with the paving of a portion of Mt. Pleasant Church Road, Gene Nix Road, Yonah Valley Road and Barret Mill Road. 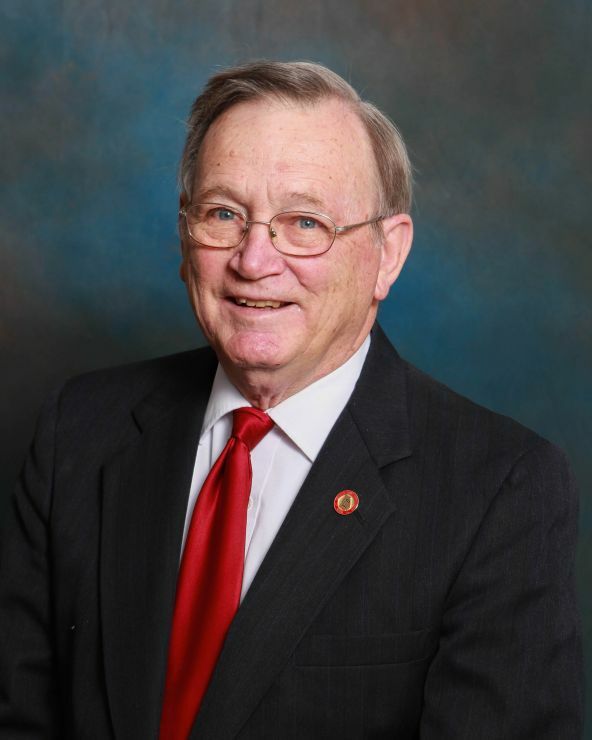 The votes were unanimous, however, Commissioner Craig Bryant recused himself from the discussions because he had a relative who is one of the bidders. The prep work Gene Nix Road and Yonah Valley Road was awarded to the low bidder Crumley Creek Construction in the amounts of $56,163 and $45,258 respectively. The prep work for Barrett Mill and Mt. Pleasant roads was awarded to the low bidder Nelson Construction in the amounts of $95,631 and $44,727 respectively. Next Article » How About a Cruise Vacation?